I hadn’t intended to combine any challenges this week, nor in fact participate. With it being a holiday week here in the US, and the boy “B” home for much of it, I didn’t think it would be possible. However, when I woke this morning a phrase came to my mind, the one I am using as my Writer’s Quote Wednesday participation, if there is one this week, what with the holiday and all. Although my first thought was not of the animal world, I eventually made my way in that direction and through my photoshop painting came up with the above from a photo I found online. To get the blended and brush stroke qualities, not so evident here, there is a blend tool to use. Lay down several colors in an area and then use the tool and slide over the area. The colors will blur and blend as though you mixed paints. The poem and image are contributions to my Haiku Challenge this week, and in part to #BeWoW if people wish to link back to here for that purpose as my son will be home tomorrow and I’m certain I will have little time for doing things other than hopefully watching some old holiday movies and maybe eating popcorn. 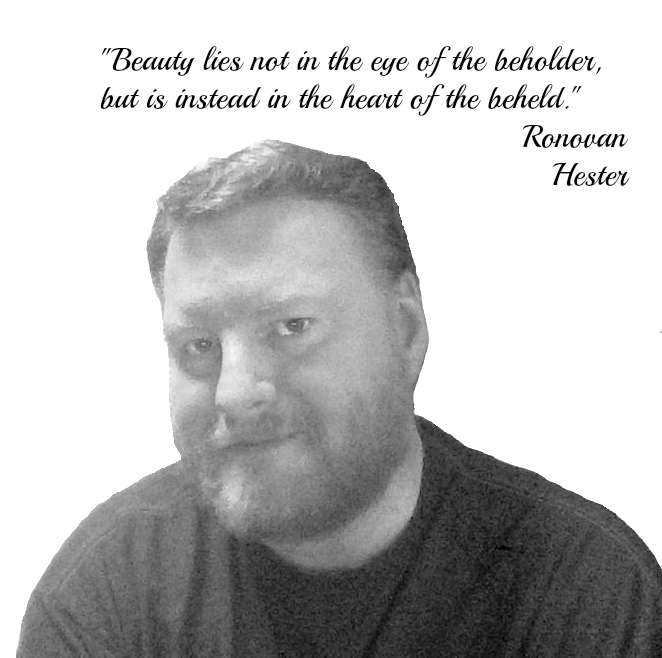 Ronovan Hester is an author, with his debut historical adventure novel Amber Wake: Gabriel Falling due out in December of 2015. He shares his life as an amnesiac and Chronic Pain sufferer through his blog RonovanWrites.WordPress.com. His love of poetry, authors and community through his online world has lead to a growing Weekly Haiku Challenge and the creation of a site dedicated to book reviews, interviews and author resources known as LitWorldInterviews.com. wow’s that quote is wow. Beautiful. Happy Thanksgiving Ronovan. I was watching the Macey’s Parade last Thanksgiving. Where did the time go? A beautiful and original thought Ronovan. Thanks for sharing this truth with us. Happy Thanksgiving to you. I’m off to make some pumpkin and apple pies now for our European Thanksgiving celebration. Cheers! That’s a very nice quote. One of those simple ones that turns out to be quite profound when you start thinking about it. I paused to Terra’s & contemplate. As a mom & a Memere, I agree. I appreciate your presentation of a true statement. Very Beautiful, Ron–have a blessed, Happy Thanksgiving! !